← Time to toot a tour leader’s horn! Summer days are still here. Shorts, T’s and flip-flops the preferred get-up for the day. Yet that doesn’t mean we haven’t stopped to think about the crisp, cool mornings and sun-touched days of the beautiful fall foliage season. And Vermont is the place to be. 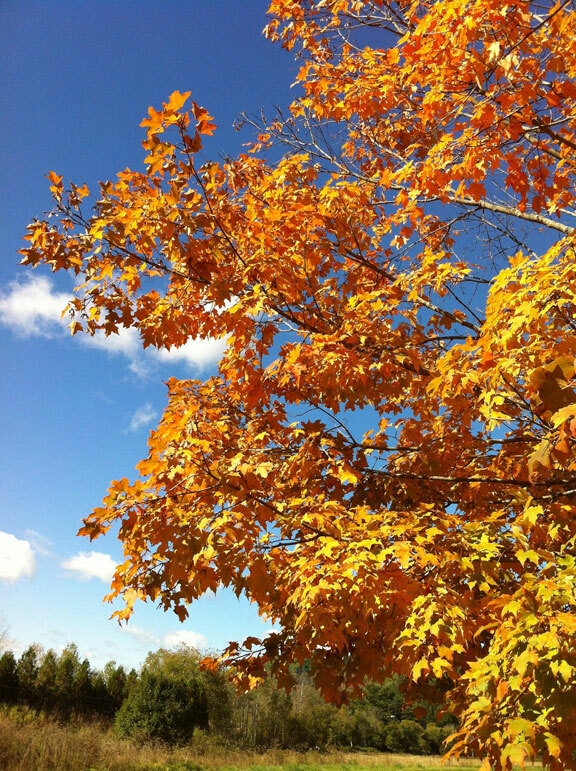 We are often asked when is the best time to see the fall colors, and why do they change? Well, no two autumns are ever the same. Warm sunny days, mixed with cool nights signal to the cells in leaf stems that it is time for a change. The cells begin to die, and this prevents nutrients from reaching the leaf. When this happens, chlorophyll, the green and dominant pigmentation in leaves which is essential for photosynthesis, begins to break down, thus exposing the yellows, oranges and reds that are the leaves’ underlying colors. 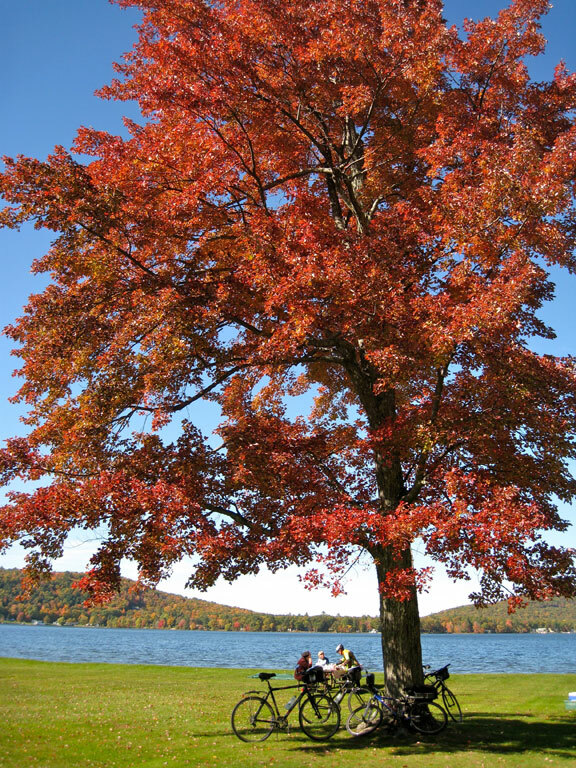 And there you have it…beautiful fall foliage! The timing for fall foliage varies from year, but historically the best times to view the colors are late September into mid October. 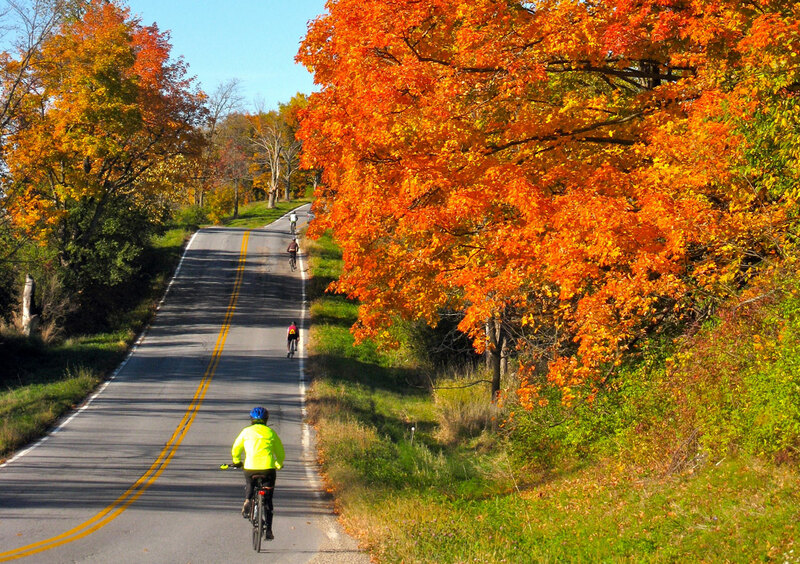 And, of course, the best way to have an “all senses engaged” fall foliage experience in Vermont is on a Discovery Bicycle Tour! Savor the sweet decadent maple syrup on your morning pancakes before your ride. Take in the glorious, brilliant display of fall colors. Enjoy the sweet smells of local apple orchards and the faint smell of wood smoke in the air. Listen to the crackle of leaves as you walk through a town green. And wrap your hands around a cold local microbrew or hot tea after your day’s ride. 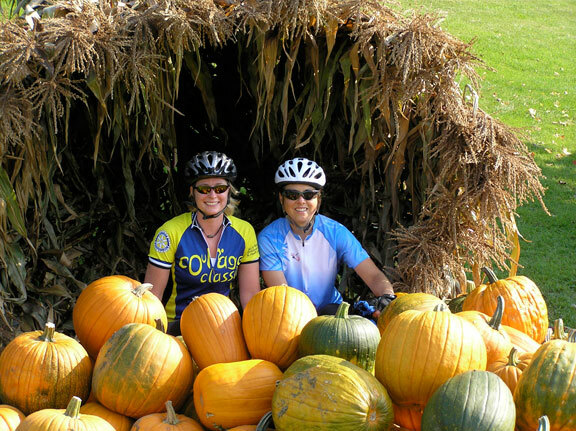 That is fall foliage with Discovery Bicycle Tours. 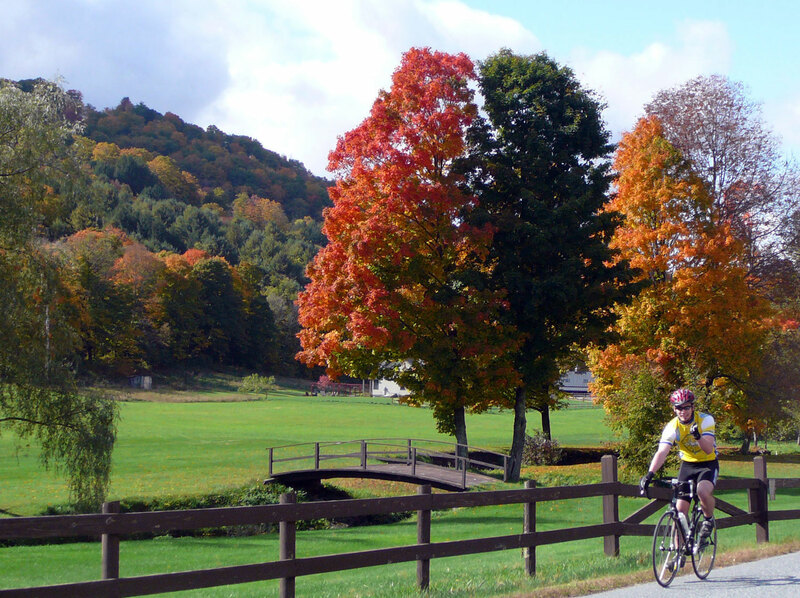 This entry was posted in Vermont Bicycle Tours and tagged adventure, Autumn leaf color, best fall foliage, bicycle, bicycle tours, bicycling, bike, bike touring, biking, Charles Kuralt, cycling, Discovery Bicycle Tours, fall foliage, foliage in vermont, inn-to-inn bicycle tours, Leaf, maple syrup, microbrew, October, Recreation, sugar maple, town green, Travel, United States, vermont, when do the leaves change, why do the leaves change, wood smoke. Bookmark the permalink.